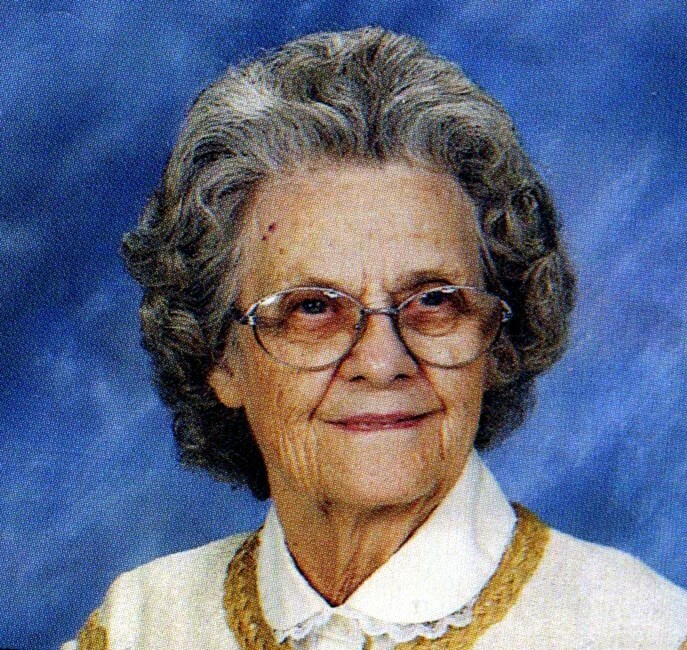 Christina Norwood Crawford, age 99, of Chickasaw, Alabama went to be with the Lord on Tuesday, January 15, 2019. Christina was born November 13, 1919 in Mobile, Alabama to Alexander and Julia Norwood but reared in Pascagoula, Mississippi where she met and married Wallace Bob Crawford. She was a faithful member of Lafitte Baptist Church in Saraland and retired from Mobile County Public School System. Christina was preceded in death by her husband of 35 years, Wallace Bob Crawford; daughter, Julianna Harvill; and grandson, Christopher Crawford. Left behind with wonderful memories of a loving mother, grandmother, and great-grandmother are four children, Nancy (Steve) Scroggins, Rex Crawford, Slim (Lori) Crawford, and Jody (Debra) Crawford; son-in-law, John (Laynea) Harvill; grandchildren, Nicole (Ted) Brooks, Tiffany (Johnny) Vice, Stephen (Wende) Scroggins, Jennifer (Terry) Dixon, Hillary (Billy) Kennedy, Devin (Lorrie) Crawford, Caleb Crawford, Skylar Crawford, Wallace Crawford, Joseph (Natalie) Crawford, and Israel (Katie) Crawford; and great-grandchildren, Sarah Ann Brooks, Will Brooks, Annjulie Brooks, Ian Vice, Christopher Scroggins, LeAndra Dixon, Liam Brett, Owen Crawford, Ethan Crawford, Austin Crawford, Colton Crawford, Emily Esposito, and Arianna Stallings. A visitation for Christina will be held Monday, January 21, 2019 from 9:00 a.m. to 10:00 a.m. at Radney Funeral Home, 1200 Industrial Pkwy, Saraland, Alabama 36571. A celebration of life will occur Monday at 10:00 a.m. at the funeral home. Interment will follow at Mobile Memorial Gardens, 6100 Three Notch Rd, Mobile, Alabama 36619. Serving as pallbearers are Stephen Scroggins, Devin Crawford, Caleb Crawford, Wallace Crawford, Joseph Crawford, and Israel Crawford; honorary pallbearers, Owen Crawford, Ethan Crawford, Austin Crawford, Colton Crawford. A chapel service will be held at 10am on Monday, 01/21/2019 from Radney's Funeral Home in Saraland, followed by a committal service at the grave site.